Some residential roofs look more complicated than others, but fundamentally, they’re the same. They share components that play unique yet equally important roles, which make the roofing system run like a well-oiled machine. They comprise the supporting framework of your roof. Depending on how they’re installed, they dictate the amount of weight your roofing system can bear. A single framing defect can lead to drooping. Nailed directly onto the rafters, they provide a clean, flat surface on which everything is laid. Collectively known as the sheathing, they form the foundation of the roof. This skin of protection blankets bare sheathing, shielding it from wind-driven rain. It can self-adhere to nails to keep leakage to a minimum. Rubberized asphalt and synthetic are two of the most popular underlayment materials. These thin pieces of metal exist for one main reason: to protect leak-prone areas from rainwater. They come in different forms, allowing them to adapt to the location of the section they’re tasked to protect. Since some metals are lethal to blue-green algae, a roofing company might suggest they help prevent discoloration. The former are horizontal pieces attached to the edge of the roof while the latter are the pieces that connect them to the siding. Both are designed to keep the elements at bay, but they play vital, independent roles. The fascia boards hold gutters and downspouts in place and the soffits often act as intake vents. They’re responsible for proper drainage. Without them, your roof replacement specialist warns that rainwater can easily pool near the foundations and damage landscaping. Installed at the peak of the roof, they help breathe out excess heat and moisture in the attic. Compared to gable vents, many experts consider them more efficient because they optimize natural convection and provide a bigger escape route for warm air. 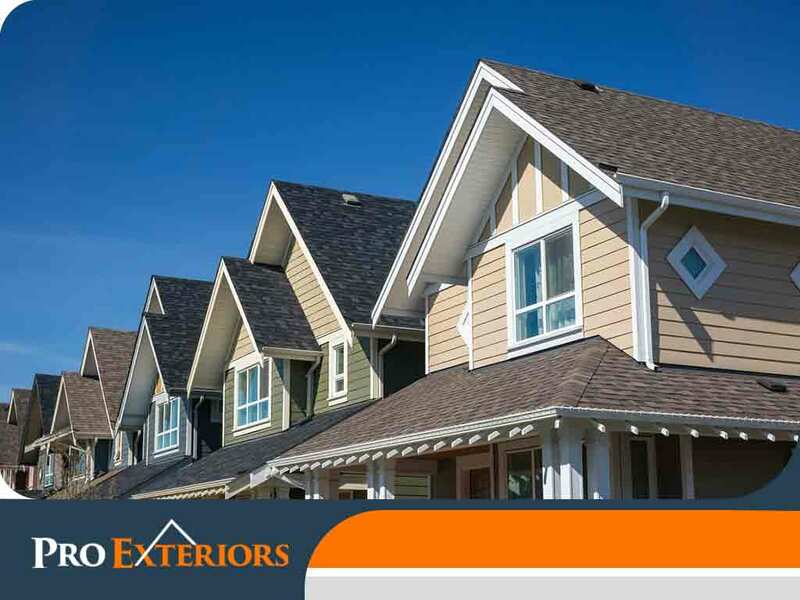 Turn to Pro Exteriors for quality roofs unparalleled in weather resistance and longevity. Call us at (302) 664-1700 to discuss your roofing needs or fill out our contact form to receive a free, no-obligation estimate. We serve clients in Easton, Maryland and nearby MD area. Great to work with; highly recommend seeing what they can do for you! They did a huge roofing job for us and replaced our skylights. I was amazed at how hard they worked. They arrived early, stayed late, and never stopped the entire time for three days. Very impressed and it looks fantastic. We used Empire Construction to complete a new roof and sky light on my parents house in Seaford. The owner and his staff were friendly, professional and did a spectacular job. The work was completed on the timeline we were given and there were no surprises when it was completed. The company was recommended to us and we would definitely recommend them. AWESOME job Empire and thank you so much! Empire Construction replaced our roof and replaced 2 closet doors. The work was well done by workers who were very good at their job. The workers who came to the house were very helpful and considerate in their treatment of my wife and I as well as our house. I would be glad to hire them again should the need arise and I would be happy to recommend their sevices to my friends and neighbors. Installed new windows, front door and shutters. Our house looks better than ever. Aaron and his staff were very easy to work with. Great experience!